Meet Fred's new foster family. 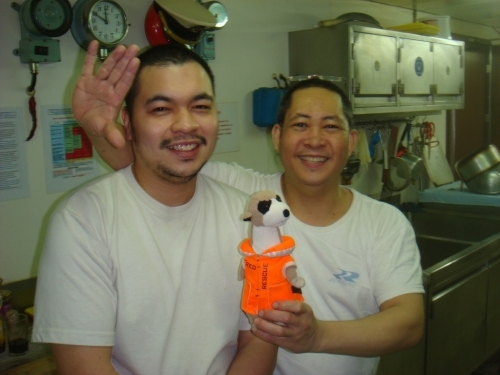 The cook on board the Hanjin Irene took an immediate liking to Fred, scooped him up, and welcomed him to the crew's mess and galley. The three "F"s will be hanging out together for a while. 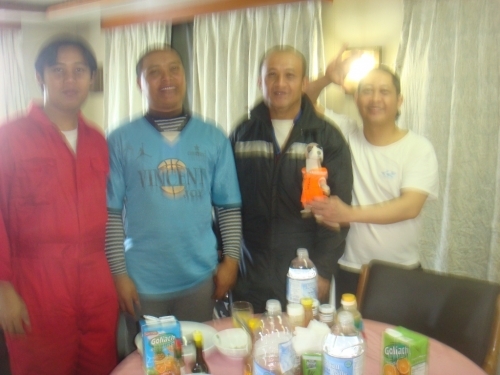 The Cook's name is Flaviano, the messman's name is Frederick, and then there is our adventurous, sailing Fred. They will be in good company. The Hanjin Irene departs from Port Newark today at 15:00, south-bound to Savannah, Georgia with a stop in Norfolk. Flaviano plans to introduce Fred to Fr. 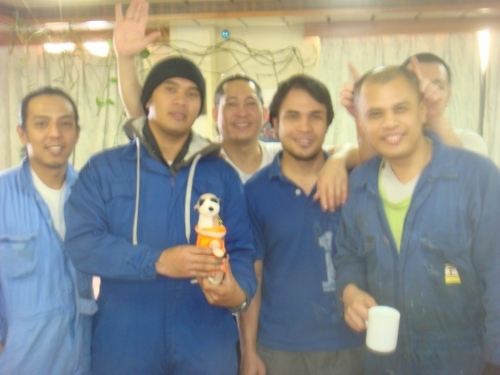 Charlie at a seafarers center in Savannah. Smooth sailing, guys!